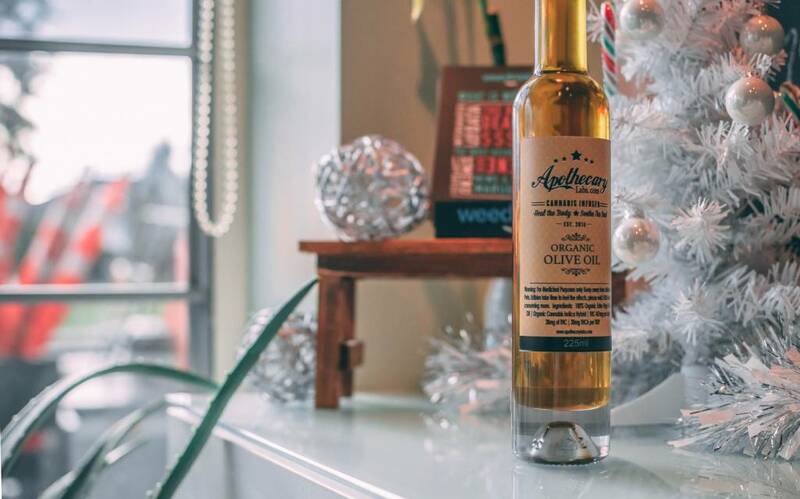 Cannabis infused organic olive oil by Apothecary Labs, 225ml. Contains 100% organic Extra Virgin Oil, and organic cannabis (indica-dominant hybrid). Dosage: 457mg of THC per bottle. 30mg of THC/THCA per tbsp. Cannabis infused organic olive oil by Apothecary, 225ml.